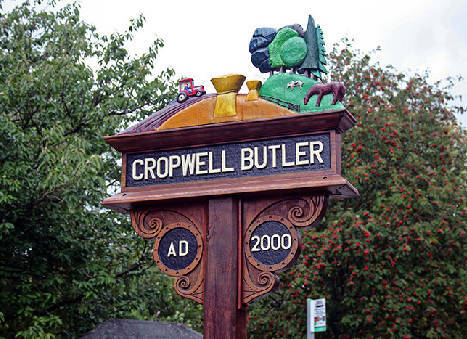 If you have just arrived here at our website perhaps you would like to know a little about Cropwell Butler, just by way of an introduction. You could click elsewhere and you would find, for example, something about our history because, like so many small English villages we have been here perhaps since Saxon times. But for the moment here is a brief description about where we are and what we look like. This is middle England and we are middle England people, for the most part work-a-day, straightforward and mostly at peace with each other and content with life. Cropwell Butler is a little way off the main A46 road which runs ultimately from Lincoln to Exeter, a route created as the Fosseway in Roman times. Nottingham is 10 miles away, Newark much the same and Grantham and the A1 a little further to the East. 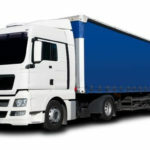 Our road connections are good but not so near that they trouble us or that they attract much through-traffic. Turning away from the West and the Fosse and looking to the East we are just in the Vale of Belvoir with its glorious undulating countryside. The medieval Belvoir Castle sits high on an escarpment brooding gently over rolling farmland dotted with small villages. Here and there grey church towers and spires stand above older cottages and newer houses. Stilton cheese and country pubs abound. 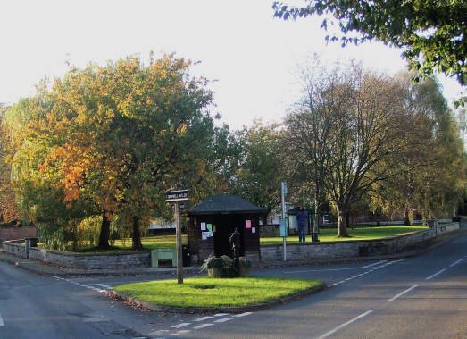 The layout of Cropwell Butler comprises a triangular village green with trees and an old pump with one main street winding its way towards Cropwell Bishop a mile away in one direction, or to Radcliffe-on-Trent or Bingham, market towns or villages in two other directions. Houses sit rather higgledy-piggledy along these lanes, all nicely jumbled up and reflecting decades or centuries of building and rebuilding. Little or no stone here, the houses are built in local brick under pantile roofs of a dark reddish orange colour. Often the older cottages are end-on to the road in typical Nottingham fashion. The cottages above, having been run into single long houses, have their front doors half way down one side. Some houses are colour washed in pastel shades and there are two thatched properties by the green, one ancient and the other modern. There are one or two larger dwellings but nothing too grand for there is much inter-social activity for those who value village life. There are a few architectural gems but much is comfortable commonplace. 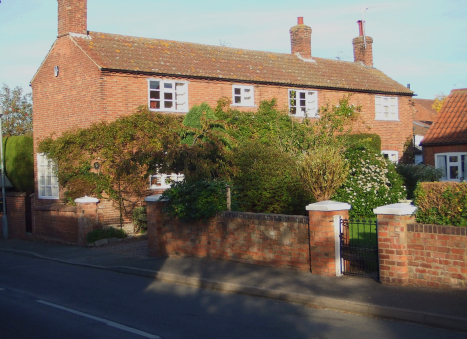 There is a small attractive estate with a mixture of housing set out along a tree-lined avenue with grassy verges. Back Lane grows ever narrower as you progress up the hill until the last bit becomes one-way, its rather abrupt arrowed sign jarring slightly in an otherwise rural scene. Upper Saxondale, to the West across the Fosse, is another habitation and part of our village and the people belong as much as anyone else. Such are the random, almost illogical boundaries of English villages. 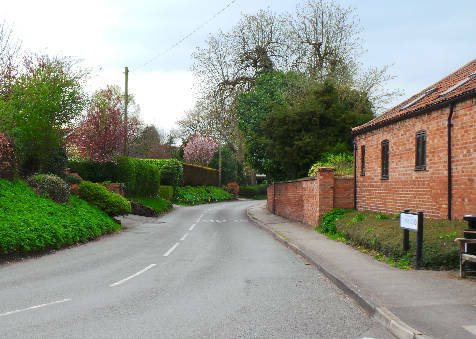 Farmland surrounds Cropwell Butler with footpaths criss-crossing the land, leading often to the banks of the Nottingham-Grantham canal, 26 miles of now unnavigable waterway.Hoe Hill, nothing more than a wooded rise, stands to the west and marks one boundary of the village. To the east is a country lane to the village of Tythby, 16 houses seemingly buried in the middle of a farm, whose occupants share some activities with their larger neighbour. 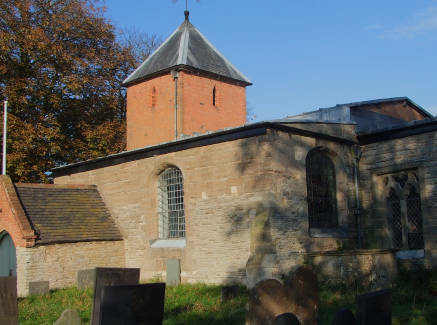 Here stands the small 13th century parish church with its early English piers, box pews and double decker pulpit. Its brick tower with slate roof rather looks as if someone has just put a hat on it, but this nicely reflects the rather random way things have somehow just grown in these wonderfully unplanned villages. The people, if one may dare to describe them, provide a mixture to match the houses and lanes. Cosmopolitan seems a far too sophisticated word to apply but there are people who work on the land, some in local industry, quite a few who commute to Nottingham or further afield, certainly a number of retirees and luckily plenty of children. There is a good modern school for infants and juniors in Cropwell Bishop but older children must go slightly further for their education. Buses trundle in and out of the village morning and afternoon collecting and discharging their precious cargo who briefly add a sense of youthful vitality to the street scene. Much everyday social interaction centres on dogs and their owners, creatures generally of impeccable pedigree and behaviour. Dogs walking and people talking all lead to a virtuous circle of common kindness and support. A medium for shared information, real or invented, is sustained, for kindly rumour is the lubrication of village interest and entertainment. 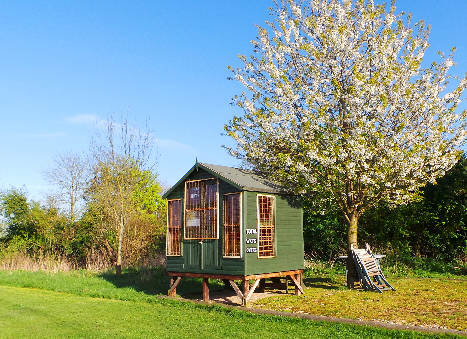 Rookery Farm lives up to its name and scores of cawing birds nest high in its trees. They circle and squawk seemingly at predetermined times almost as if they are attending a noisy meeting with no agenda and no one in the chair. Like their human inhabitants they seem contented with their home and surroundings. 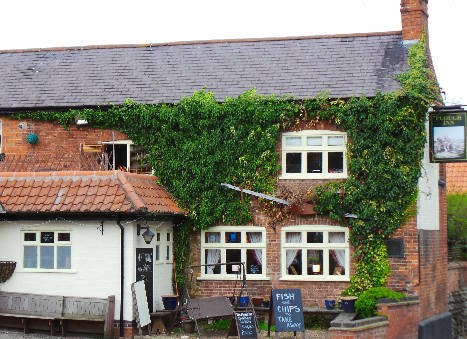 Cropwell Butler has a fine public house, The Plough, in the middle of the village. 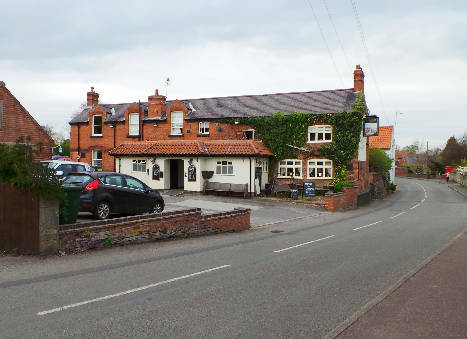 This is a village pub for everyone with a nice rural atmosphere and good draught beers. Sensible food at sensible prices attracts every sort of customer. This is a jolly pub with well-kept gardens for sitting out on fine summer evenings and the cosiness of the bar in the winter weather means warmth and conviviality. The village has a variety of local social activities. 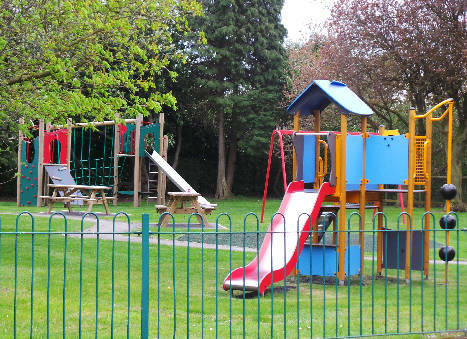 There is a large playing field area called the Sheldon Field run for the village by an enthusiastic committee where cricket and football are played in their seasons. The committee runs events to supplement their income and Bonfire Night is a great attraction. 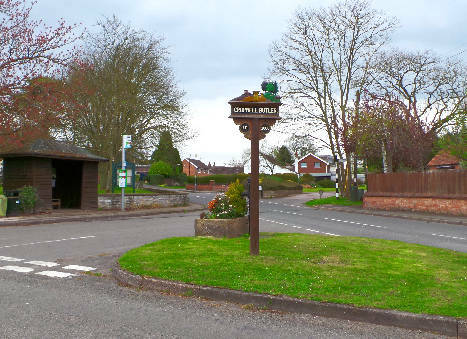 The village hall is run by another enthusiastic charitable trust which keeps the hall in good condition and runs several really good village-wide events each year. In 2012 there was a magnificent event to mark the Queen’s Golden Jubilee where the entire village danced the night away, everyone having a free burger - such is life in Cropwell Butler. For the energetic there are carpet bowls, for the women a WI (with jam and cakes), there are at least two book clubs and a gardening society. At Christmas a large tree bedecked with lights rises in front of the village hall and a troop of fairly melodious singers render carols for good causes. The Methodist congregation puts on its carol service on Christmas Eve which is always a great attraction. The candle-lit Victorian chapel is set out with festive decorations which include a straw-filled stable and the essential props for a nativity play of simple ambition. Children as young as 3 or 4 are coaxed into delivering their lines from within the folds of tea-towels, oversized sheets and appropriate headwear. The congregation sits spell bound, delighted once more to be part of the simple retelling of an age-old story which sets their Christmas off to its traditional start. Soon enough the last carol has been sung and the spell broken. Many, having now been inspired by these events, pour out of the chapel and into The Plough to continue their celebrations of glad tidings and great joy. Of these and other activities there is more detail elsewhere on the website. Gardening is a popular activity and there are several quite magnificent gardens, small and large, simple and more complex, and cottagey and rather more grand. From time to time the village rouses itself and puts on an Open Gardens with the proceeds from modest entrance charges going to some worthwhile charity. Then owners prepare their gardens to look their very best and legions of helpers provide endless cups of tea and home-baked cakes, to die for or otherwise. 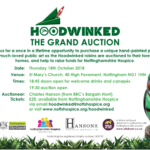 There are also several allotments which inevitably produce vegetables in quite huge quantities in the season and for a brief time the surplus is handed out to the those in favour or perhaps those in need. The habits of generations survive whatever technology may be passing by.